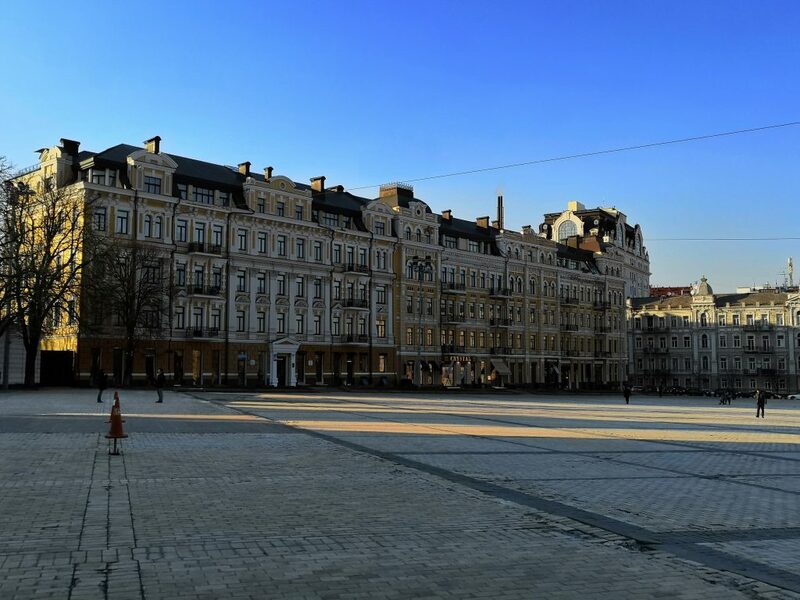 Our geographers associations cultural geography trip this year was heading to Minsk (capital of Belarus) but we decided with 8 friends that we could do our own trip to Minsk but visit some other place before it and have a little vacation. Why not? 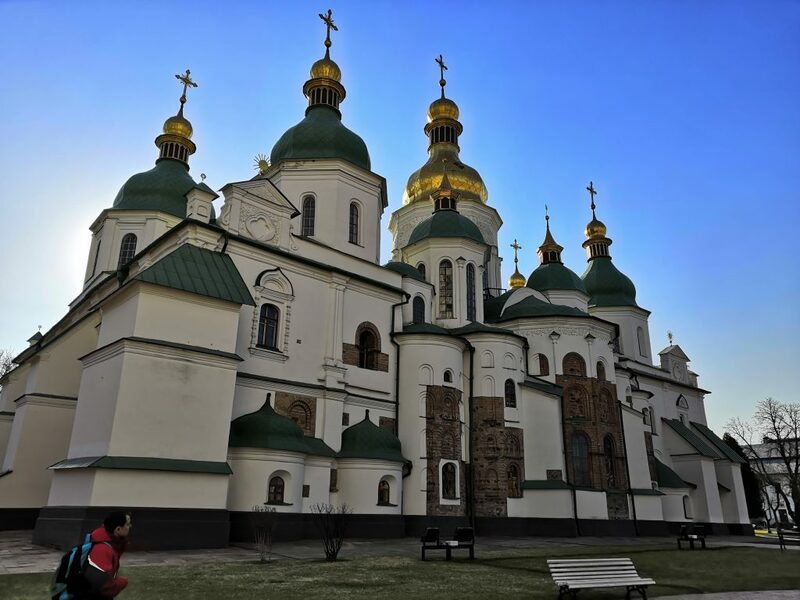 Kiev in Ukraine was quickly selected as destination before Minsk BUT getting to Belarus was so complicated and we ran out of time so we decided to extend our stay in Ukraine and then join the official geographers trip in Riga and then come back to Finland. We started our journey early in the morning on 1st of April. First we flew from Helsinki to Stockholm, where we had wait some time before our flight departed to Copenhagen (this stop in Stockholm wasn’t our plan BUT Norwegian is on the verge of bankrupt and some planes are grounded because of the accidents). Then we arrived in Copenhagen about at noon. We had about 12 hours to spend in Copenhagen so we headed to inspect the city. Weather was sunny and warm so day quickly turned to evening which meant that we should get back to airport and proceed to Kiev. We arrived to Kiev just before 1 am in the morning and after crazy taxi ride we were finally in our Airbnb. 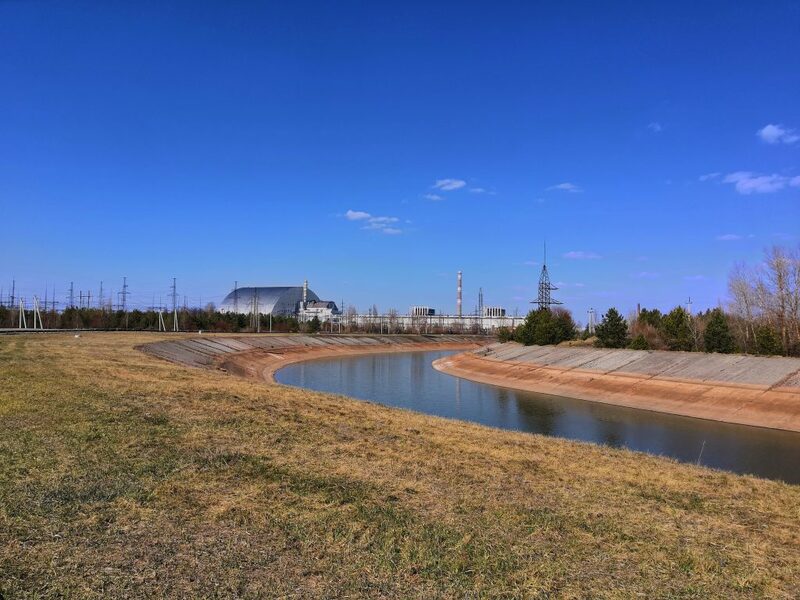 Wednesday was lazier day than Tuesday but we visited Tsernobyl museum and then just wondered again around Kiev. Nothing special happened on this Tuesday because we where waiting for Wednesday! Wednesday was travel day again. 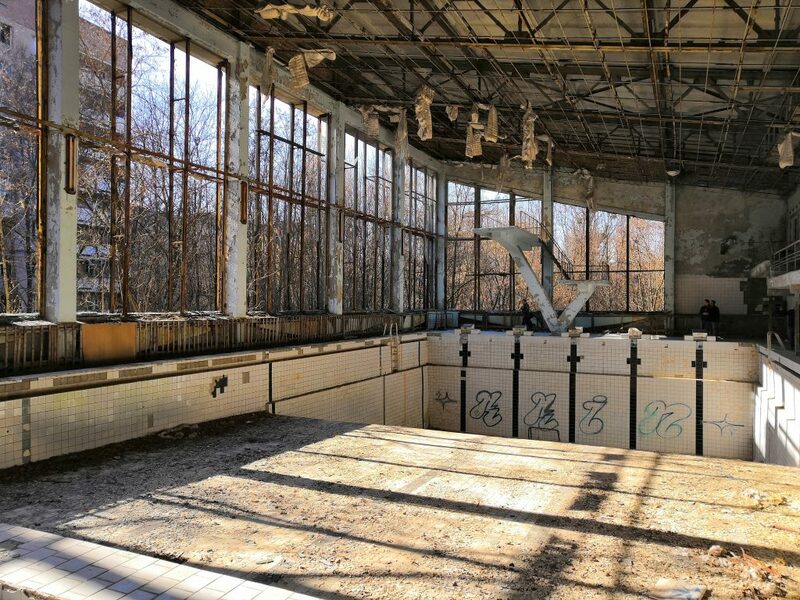 This time we had tour booked to Tsernobyl! Tour lasted almost whole day and it was really really interesting. 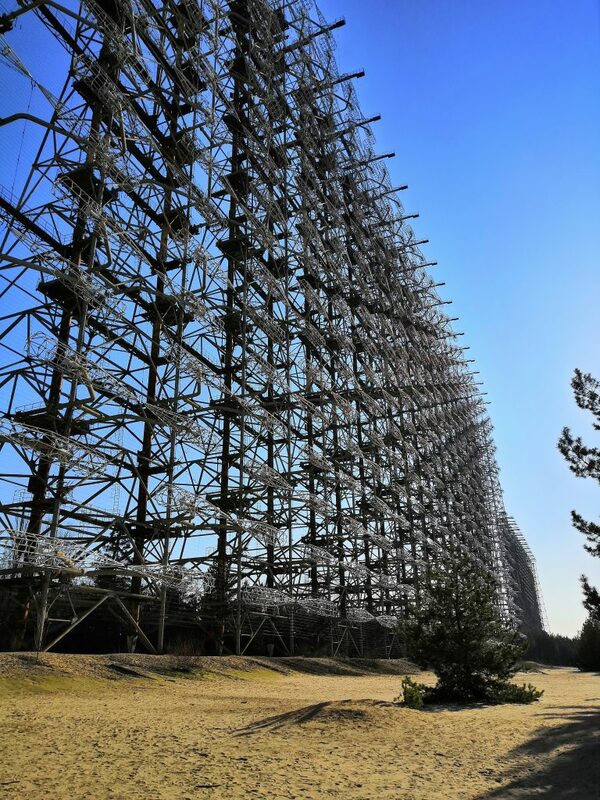 We visited Tsernobyl town itself, ghost town of Pripyat, took few photos in front of nuclear power plant itself, ate lunch in canteen of power plant workers and visited former soviet radar. Though day but it was all worth it! (I’m trying to keep this short because i could write so much only about this tour). 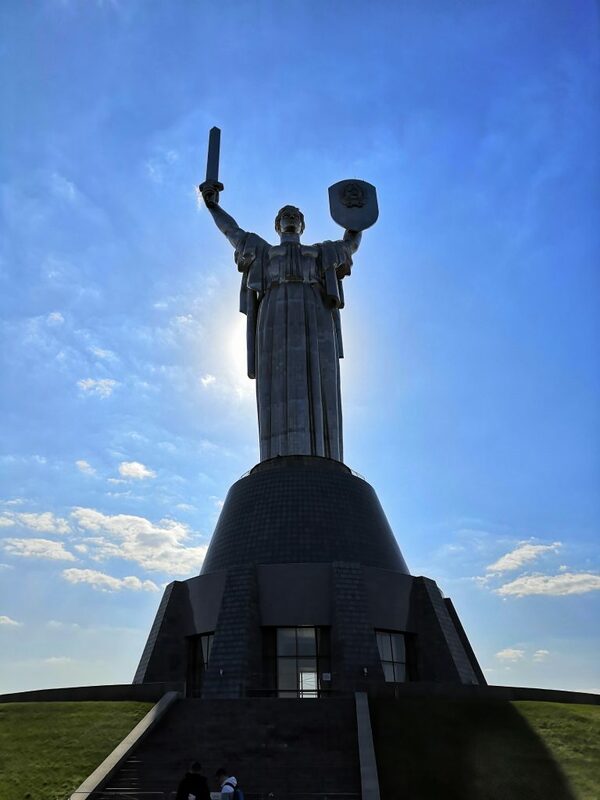 Friday was last day in Kiev and we again walked around the city and checked few sights, such as The Motherland Monument. Saturday we left Kiev behind and headed to Riga for one night. Weather in Riga was same that had been in Ukraine: sunny and warm. In Riga we just walked around the old town, ate some good food and drank few beers. Ferry from Tallinn arrived in Helsinki 00:30. Home again! This was short report about our trip to Kiev and I tried to keep it short! Using English on this journey was quite difficult sometimes as Ukrainians didn’t speak English very much. Tour guide on Tsernobyl of course spoke good English and we spoke with him about politics, war in Ukraine, corruption etc. In Denmark and Latvia English was language which was well understood and spoken. I would estimate that I spoke about 8h English on this trip. It has been bit quiet here…. I’ve been bit busy with school and other things in my life (trip to Ukraine etc.) so this blog has been bit neglected. I’m not going to tell more about things I’ve watched / listened and these lasts posts concentrate more in speaking. Last month we had another English speaking evening with Saku. I really don’t remember exact date but it was second last or last (?) friday of march. Some might say that it could have been better to write post about it in time but….well, you can’t always succeed! So, we used method which we had used before: take few beers, speak English, talk about life, talk about music, talk about happenings etc…. Evening went on nicely like the last time we spoke English with Saku and we spoke English about 2h also this time. After two hours we switched to Finnish and continued our evening. I mentioned Ukraine earlier in this post so next post in this blog will be about it! 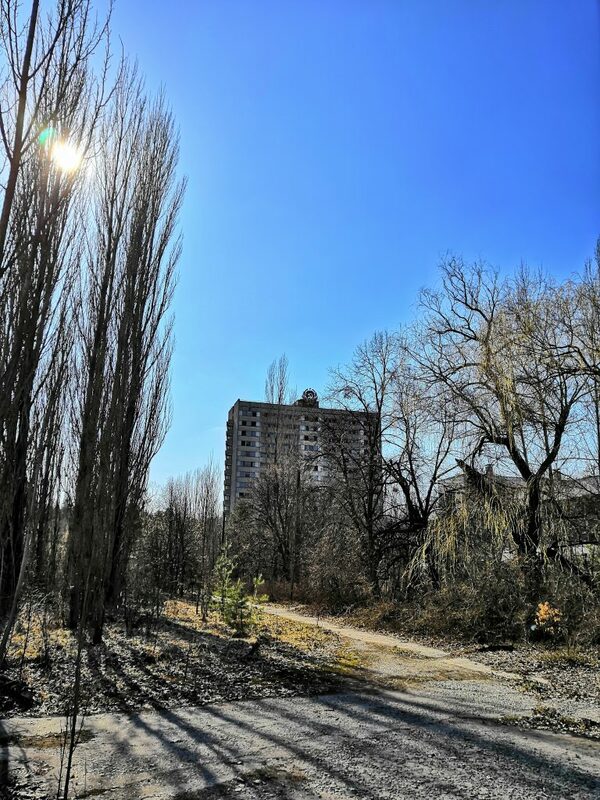 Author Matti MoisalaPosted on 17th April 2019 Leave a comment on It has been bit quiet here…. Here’s some samples from my final work for Introduction to advanced geoinformatics. Writing and academic reading took many hours so i’m finally happy to finish this course. My report was about defining visitor hotspots in Nuuksio national park with Flickr and Instagram data. In a post about DJ Kridlokk’s album release gig I mentioned that awesome albums have been released this year although it’s end of February. One of the albums I’ve been really stoked and excited about was released few weeks ago 15.2.2019. Singer on this particular album has gained worldwide popularity with his former band HIM. Band behind the instruments has been backing band for several famous Finnish singers such as Topi Sorsakoski, Jorma Kääriäinen and Rauli “Badding” Somerjoki and is known for revival of traditional Finnish beat and instrumental rock in 80’s. 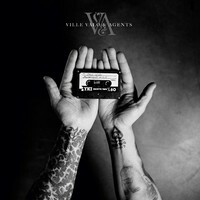 Only possible collaboration behind this album can only be Ville Valo & Agents. Ville Valo & Agents worked briefly in late 90’s in TV show called Laulava Sydän where Valo performed few songs in episode which was dedicated for Rauli “Badding” Somerjoki. Collaboration got continuation after Agents’ mastermind and lead guitarist Esa Pulliainen found tapes from early 80’s with demo recordings of Badding’s songs that never made to the actual records. Pulliainen watched the tapes that were on his desk for many years and then contacted Valo because he knew that Valo has strong grasp on Badding’s music. After HIM disbanded 2018 Pulliainen and Valo started to work with Badding’s unreleased songs. First single from the album “Orpolapsi Kiurun” was released on 21st of September 2018. Badding’s voice was ripped from original record and can be heard in middle section of the song. Few months later in November, release date of the album was published with track list. Album has seven unreleased songs and five classics re-recorded. I personally really waited for this album and it didn’t let me down when it was released. I was also pleased to hear that album has also two instrumental tracks (Kirstinkulma and Kettu). Style of the album is soft and not very surprising if you have listened latest Agents records (Blue and Sound on Sound) and it sounds just like I imagined. Multilayered, compressed and echoing guitars accompanied with smooth drum grooves, supporting bass and Valo’s vocals can’t really produce bad record. Album has no bad songs and I’d say that this is going to be one the best records released this year! I you haven’t yet listened this record, I recommend to do it because this album is one of the biggest cultural achievements for a while. While updating my hours used in English, i noticed that I’ve not really updated my reading hours. Usually i don’t even notice if i read something in English as i’m so used to it when i’m browsing through the internet. I often combine reading with watching. For example when i’m watching documentaries or such, I stop it several times and google some event or person mentioned in document and then I usually get lost in the Internet. Reading and browsing internet in English is also important part of music making. I often search for new sound packs or VST plugins for my FL Studio and all my music making software is in English so I don’t even notice how much English I’m using on regular basis. Reading history and making music develop my vocabulary on those areas but i’m considering that maybe should read some academic works. They are of course more complicated and not so “easy and nice” reading but challenges are always best, huh? Let me introduce you to my new favorite entertainment: Kenny vs. Spenny. I realized that I’ve been binge watching this series lately so much that i could spend this one post for it. Kenny vs. Spenny is a Canadian TV show where two friends Kenny Hotz and Spencer Rice compete each other in different competitions. Show primarily concentrates more on how competitors are trying to win than who actually wins. Every competition lasts for three days and winner gets glory and losers faces humiliation. Spenny usually follows the rules very strictly while Kenny often cheats or bends the rules as he wants. Kenny often insults Spenny and his family and uses reverse psychology to cause Spenny to sabotage his own game as he gets too paranoid. 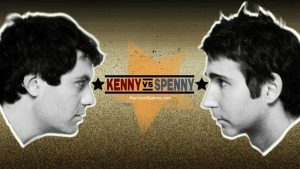 Insults and Kenny’s working around the rules often causes clashes between the two and Spenny’s behavior often becomes violent. 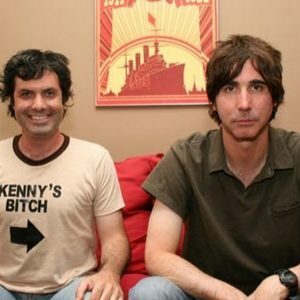 In addition to working around rules and insults, Kenny often pranks Spenny in various ways, for example giving him LSD secretly or sending him a forged letter from Ministry of health which informs him having HIV. In one episode Kenny just urinated on Spenny suddenly just to intimidate him. Kenny usually seeks help from herbalist Dr. Goldfield or his family and friends and often threatens production team to help him and conspire against Spenny. Winner gets to assign humiliation for the losers which is usually embarrassing task that losers must perform. Last Friday (22.2.2018) we finally decided to do something together with my friend Saku. I’ve been drowning into school work but now we finally had time to do something because we spontaneously bought tickets to DJ Kridlokk’s album release gig. So decided to enjoy few beers before the gig and use that time to speak English! I went to Saku’s place few hours before gig and we talked same things as usual: music, school, friends etc. but this time in English. Conversation went on nicely (Maybe two beers made the trick? Who knows) and we spent about two hours speaking in English before we left to Korjaamo in Töölö where the gig was held. We also decided with Saku that we’ll do something more together as this period ends and school work reduces drastically. We both were quite excited about the gig since we both liked the album. SITOI and Tuuttimörkö were warming up the audience before DJ Kridlokk. We missed SITOI but Tuuttimörkö’s set was awesome because he’s one my favorite Finnish rappers. I didn’t even remember how fast and accurate his flow is! DJ Kridlokk started his set about in time and his set consisted of the new album and one older song. Album was perfect and so was the gig! No featuring artists, just DJ Kridlokk rapping and Tuuttimörkö behind decks doing DJ stuff and taking care of the beats (although Paperi T made short appearance on stage after song “Oon Paperi T”). DJ Kridlokk is one of the most appreciated rappers and producers in Finnish “underground” rap scene and I would say DJ Kridlokk’s album Silius is going to be one of the best releases this year! Maybe i’ll write one post later about all the good albums released this year. Author Matti MoisalaPosted on 25th February 2019 11th March 2019 Leave a comment on Social action! Few days ago (19.2) I was surprised to see familiar band name in several news medias. Finnish guitarist and primary songwriter of band called Sentenced passed away 10 years ago. Tenkula was main force behind successful Finnish metal band Sentenced in 90’s and early 00’s. Sentenced was one of the most successful Finnish metal acts in early 00’s and enjoyed popularity abroad and in Finland. I personally thought that nobody in big medias wouldn’t even remember that Sentenced existed but i was excited to notice that it wasn’t forgotten. 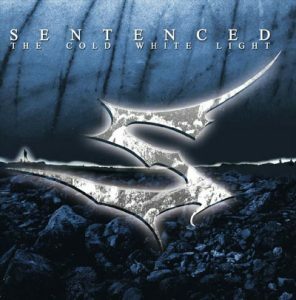 That gave me inspiration to listen through one of my all time favorite albums by Sentenced: The Cold White Light. I hadn’t listened it for a while but it sounded just like i remembered. Some things luckily never change. I would describe Sentenced as HIM which is bastardized into something more heavy and less emotional. The Cold White Light was released in 2002 and was second last album before band broke up in 2005. Album is heavy, but not too heavy. Songs are melodic, energetic and lyrically dark accompanied with Ville Laihiala’s low vocals. Sentenced used in their lyrics lots of dark humor and themes were often death, love, depression and suicide. Sounds dark and evil, huh? If one thinks that early 00’s Sentenced was dark and evil, I recommend to go and listen their first and second album as they are really heavy in unique Finnish old school death metal style! I really don’t know what to say about this album… difficult to describe album that I have already listened so many times. It’s definitely one of my favorite albums! The Vietnam War documentary was that long so meanwhile I decided to watch something else and shorter. 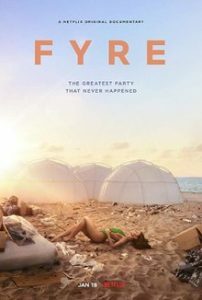 Document that I spontaneously chose from Netflix was document called “Fyre: The Greatest Party That Never Happened”. It was released in Netflix in January 2019 so it’s brand new! Document is about failed music festival in Bahamas called Fyre and it shows footage from preparation of festival and ideas that led to disaster. Festival itself was good example about social media influencing and how people want to be part of something unique and are ready to pay thousands of dollars. Well, i don’t have much to say about the documentary. Of course i knew the outline about festival and things that happened there but of course document provided good overview about events leading to festival and what happened after it. This document was simple and easy documentary and provided entertaining 1,5 hours. This post is about Vietnam War documentary series which i finally managed to watch to the end. 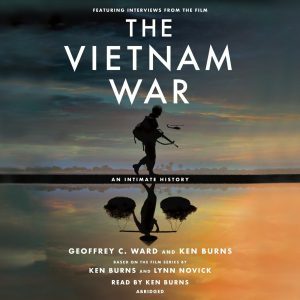 Documentary series is called “The Vietnam War” by Ken Burns and Lynn Novick. I made some research from Wikipedia and learned that production of series took over 10 years and cost about 30 million dollars (woah!). Document consisted of 10 episodes which were about 1,5-2 hours long making total length to be about 18 hours. Document starts from 1940’s and ends with unification of Vietnam in 1975. First impression about series is that it’s clearly done with care and it’s very nicely constructed documentary with multiple points of view. Documentary is surprisingly objective (despite normal USA patriotism in last episode) and dozens of people were interviewed for it. People that were interviewed were from both sides: Americans and Vietnamese, soldiers, peace demonstrators and their family members for example. Documentary tells the overview about events in Vietnam and USA but also tells several stories of regular soldiers and other ordinary people. According to Wikipedia, documentary makers avoided historians or other experts and focused more people who experienced the war and that’s what surprised me positively. Also thousands of photographs and video footage was used in documentary which I think is always exciting. I think “The Vietnam War” documentary is one of the best I’ve ever seen and I recommend it for everyone who has interest in history and likes good documentaries.